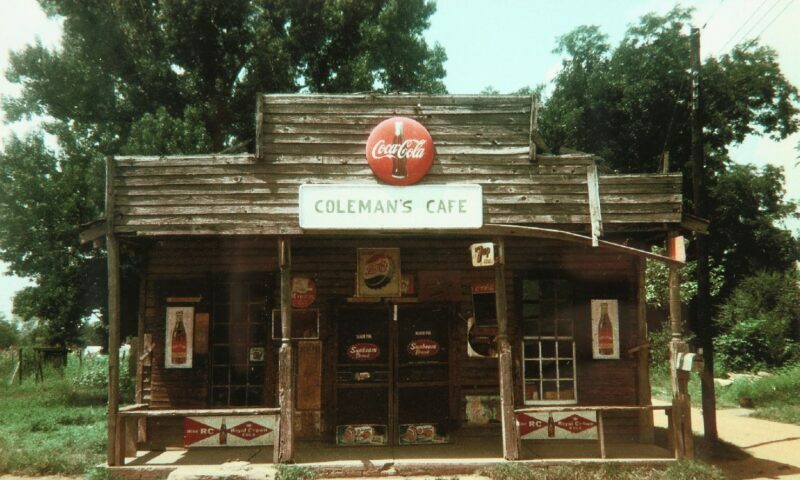 William Christenberry, Coleman's Cafe, 1967-1996. A pioneer of color photography, William Christenberry dedicated his career to articulating the unique character of his native Hale County, Alabama. For four decades beginning in the 1960s, Christenberry photographed the vernacular architecture and rural landscape of central Alabama on an annual basis, creating a prolonged study of place and the passing of time. This exhibition includes more than 100 photographs by Christenberry and is drawn entirely from the High’s collection.